Kintsugi, or “golden joinery,” is the Japanese art of repairing broken ceramic with lacquer dusted or mixed with powdered gold, silver, or platinum. Kintsugi treats breakage and repair as part of the history of an object—part of its beauty—rather than something to hide. 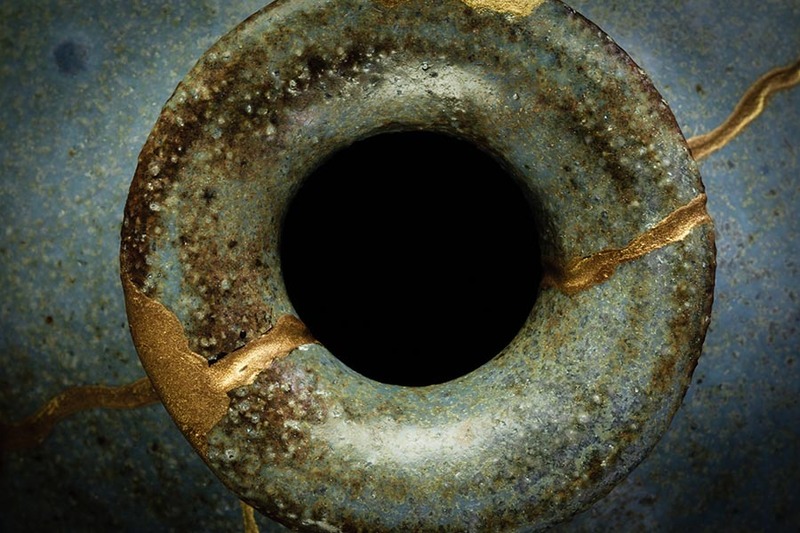 Kintsugi plays a major part in my new novel Wreckage. One character, an art collector, has just found an ancient Kintsugi bowl in a thrift shop and is excited to have it evaluated. She herself has just undergone a disfiguring surgery that has wrecked her face and her career, and so finds a sense of kinship with the little broken pot that she buys. The book’s major theme (and thus the title) is the idea of damage and how we deal with it—whether it causes contraction and fear, or opens us up to a greater expression of life. Each of the characters in Wreckage has their own answer to that question.